@abitdeef So I see accessoryjack has the IE800s at 769 euros. When it reaches 600- and i believe it will- I will go for a blind buy. Nice, I would really be interested in what you think of them. I was tempted to try the beyerdynamic tesla drivers, but they are like 800 or 900 bucks. Just too much for iems imo. Especially when I find the it01s to sound so good. Fit would be better with the senns though I'm sure. The Xelentos are in a different league!! i've been connecting my iPhone X to the X300 in DAC mode and playing standard res files through the Onkyo HF Player app and getting unbelievable sound! Seems as if the app is upscaling the files and turning them into high resolution. The processing seems noticeably better than playing the same files installed on the DAP itself.. Separation, soundstage all seem improved. Makes me want to sync my whole collection to the app. Ha ha I ordred them, after reading reviews about fit and such. If they don't blow me away they're going back. I hope my balanced cable will fit properly because the stress reliefs on my cable are straight and not curved. Well I'm very impressed with these, I would like to know more about the technology as they're a single coil transducer (what ever that means) as opposed to having multiple drivers which are tuned for different frequencies. I read on another thread that the Xelento's are brighter, which I can't comment on. One thing: I don't use the 'conch' shape ear tips that come supplied, I use round silicone tips, I find they stay put and bass is not compromised. These iem's are small and I'm happy using the supplied cable, it's light weight, pliable and gives no microphonics. superuser1 and abitdeef like this. Okay, okay, I admit it, I don't really know what I'm talking about. But there are some albums/tracks that sound better this way. Not sure why. The app does claim to upsample. Well I'm very impressed with these, I would like to know more about the technology as they're a single coil transducer (what ever that means) as opposed to having multiple drivers which are tuned for different frequencies. I read on another thread that the Xelento's are brighter, which I can't comment on. One thing: I don't use the 'conch' shape ear tips that come supplied, I use round silicone tips, I find they stay put and bass is not compromised. That's good to know, the tips they show look funky. Too bad they don't include a 4.4 cable instead of the 2.5 one. No I've heard other people say this about the onkyo app. Maybe it does some dsp effects in the background. 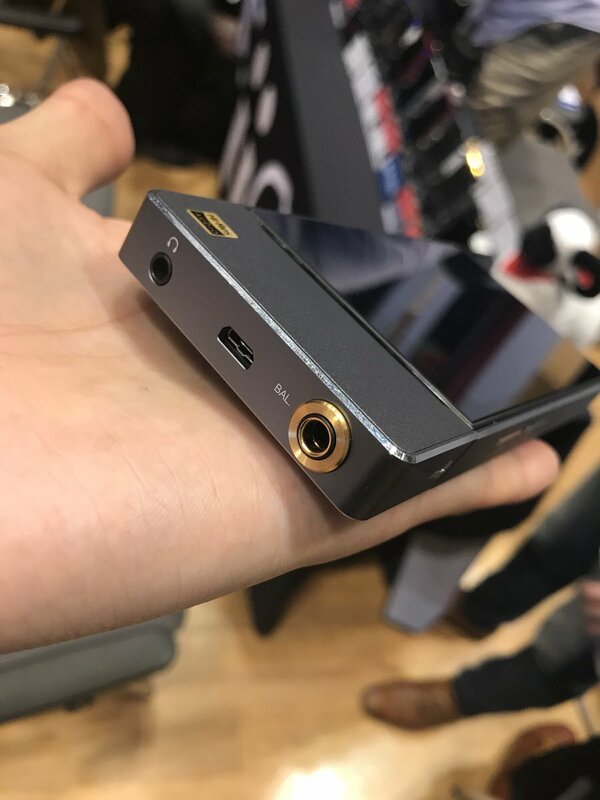 Anyone knows any very short cable to connect zx300 and amp like fiio q5 ? L27 is out of stock. Ryokan and abitdeef like this. praetor47 and Tw Chia like this. Nice to know that the reviewer rates both highly. personally I've not felt I need more bass with the T8's, maybe a little extra sub-bass but that could be down to the recordings I listen to. These are highly accurate and clear. I just can't get on with the supplied oval shaped tips.